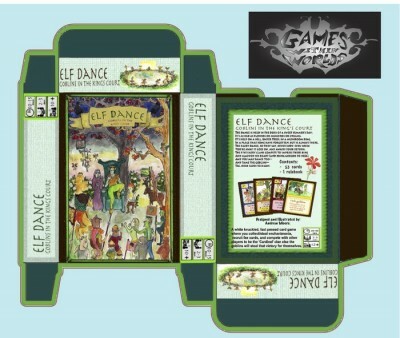 Games Within Worlds is running a Kickstarter campaign for Elf Dance, their first card game. They're already about 50% funded. Games Within Worlds is excited to release its first feature game, Elf Dance, but we need your help to get the first print out! There are only a few early bird copies left. All games are in your hands by Christmas. Check out our Hob Goblin option which includes a boffer sword handmade by the game designer!